Additionally, realtors will consider whether it is a buyer’s or seller’s market. If you want to create a frenzy with a lot of eyes on your property in a seller’s market, you can underprice the home and let the bidding begin. This tactic works in many markets including Tulsa. 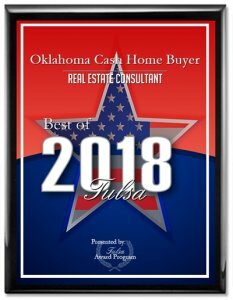 IF YOU ARE LOOKING FOR A FAST WAY TO SELL YOUR HOME, GIVE US A CALL AT (918) 516-8885 OR FILL OUT OUR ONLINE FORM TODAY!